HIGH Street is a great mountain with a rubbish name. When someone asks where you’re going walking and you say High Street, they glance at your boots and backpack and wonder why you need all that stuff for a trip to Primark . . .
Mountains have names that originate deep in the muddied pools of time and High Street is no exception. 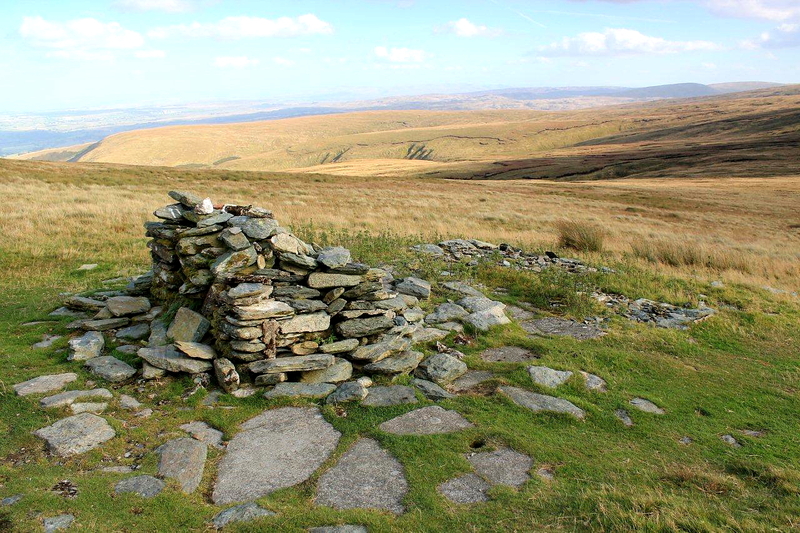 The name is a reference to the Roman road that linked the forts of Brocavum, near Penrith, and Galava, at Ambleside. 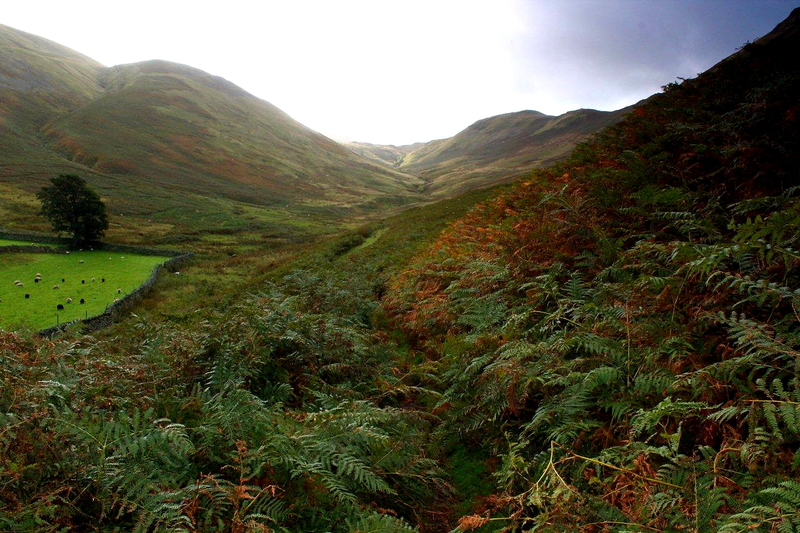 For most of its length the road clings to the highest ground – and that highest ground is the High Street ridge. I prefer its older name – Brettestrete, which means Road of the Britons. This is of Anglian origin and probably dates to the post-Roman period when Angle and Saxon insurgents were flooding westwards from the coast and the indigenous Britons were still using the mountain range as a highway. 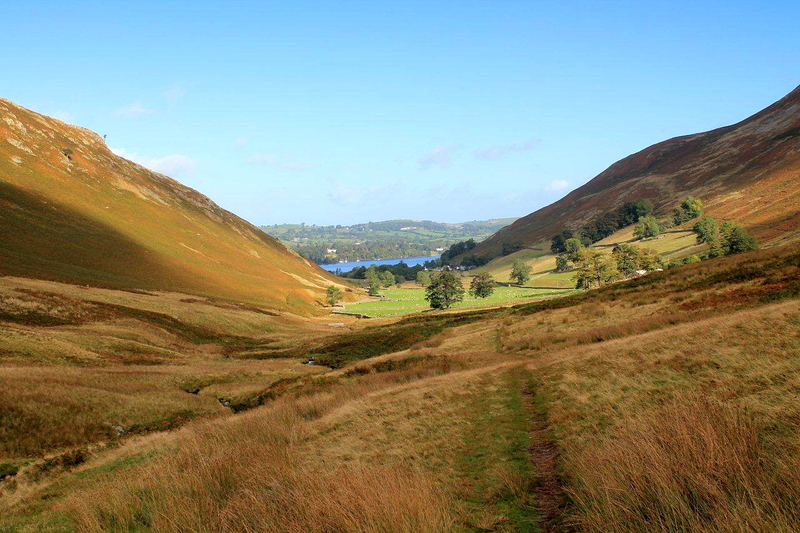 The southern end of the road, which drops down into Troutbeck, was known in the 18th Century as the Scots’ Rake, suggesting other bands of raiders and looters used the route before being persuaded to embrace civilisation. You may have noticed from the photographs that I am taking a somewhat unconventional approach to my ascent of High Street. 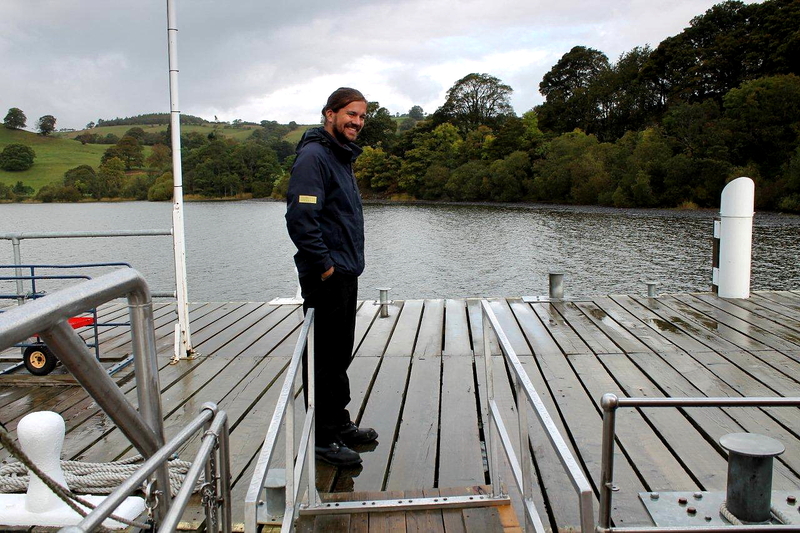 I didn’t want the Vikings to be left out of this venture into the sub-Roman period so I’ve caught the steamer along Ullswater from Pooley Bridge to Howtown, and I’m standing on the foredeck like Ernest Borgnine gazing into the drizzle of a rather damp though not untypical Lakeland morning. Okay, so the Vikings didn’t use steamers. 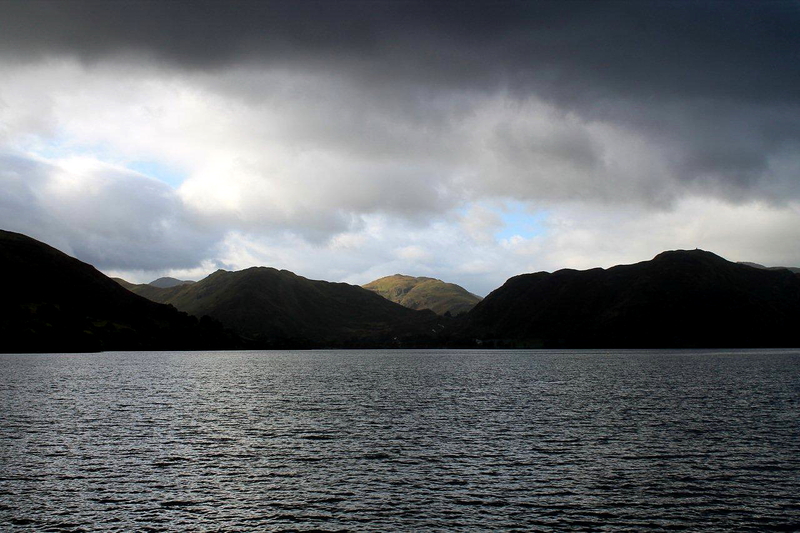 But Ullswater is a Viking name, and had the Danelaw endured and triumphed over Anglo-Saxon England then we would probably be calling it Ulfsvatn or something equally outlandish. It’s more evidence of racial integration. Which goes to prove that even the most reckless of ethnic minorities can be successfully subsumed into a homogeneous mass that does nothing more unpleasant than lob smart bombs onto foreigners from a height of 26,000ft. I’m feeling a bit cranky this morning. I don’t know if it’s noticeable. The weather forecast promised a cloudless dawn and a perfect day for walking, but all I’ve got is wetness and limited visibility. I see why Kirk Douglas only needed one eye. 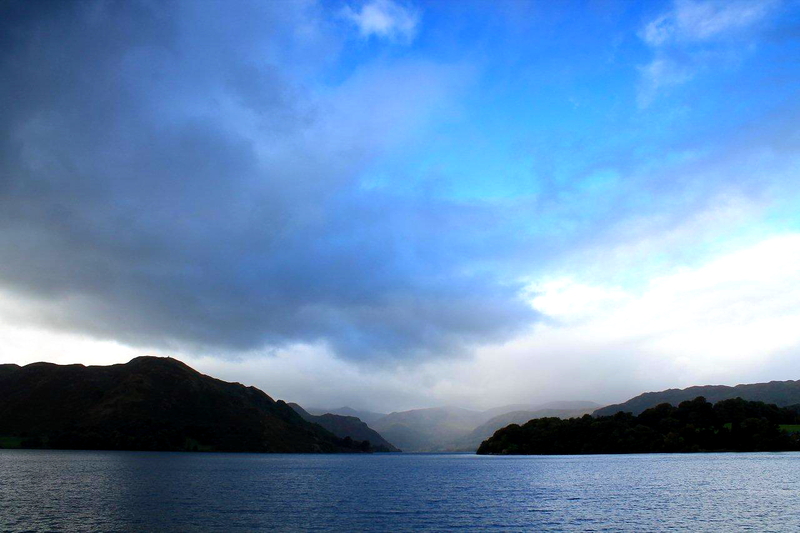 And another thing, the Ullswater steamers aren’t steamers. They run on fuel oil. I said I was feeling cranky. But it’s a pleasant trip and the friendly and helpful crew serve excellent coffee. The lake is calm, the wind fresh, and before the Lady Wakefield reaches Howtown the sun bursts through the clouds and everyone is happy. Names are the dominant theme for this post. Howtown isn’t a town. It isn’t even a village. The name is a fusion of Norse and Old English and means “farmstead on the hill”. 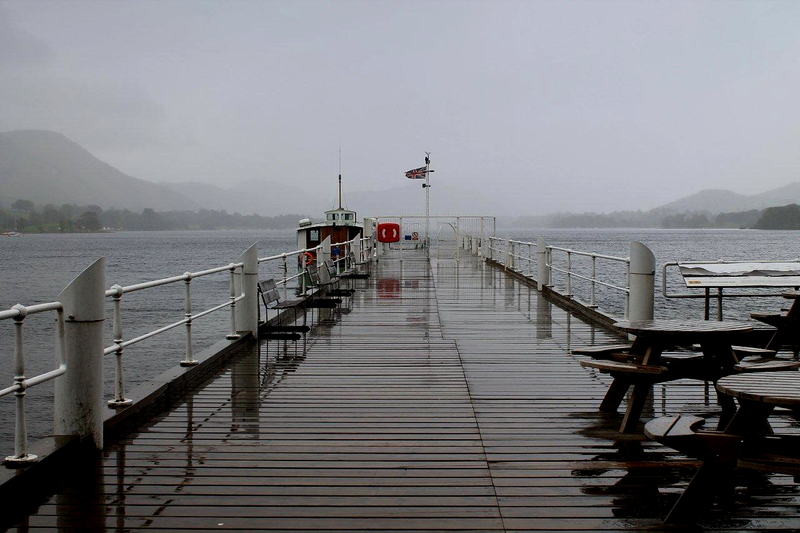 There’s a hotel, a couple of cottages, a couple of opulent houses built by very rich Victorians, and a jetty for the steamers. It’s the sort of place where Arthur Ransome or Hugh Walpole might recline in a hayfield and write stories before dinner. 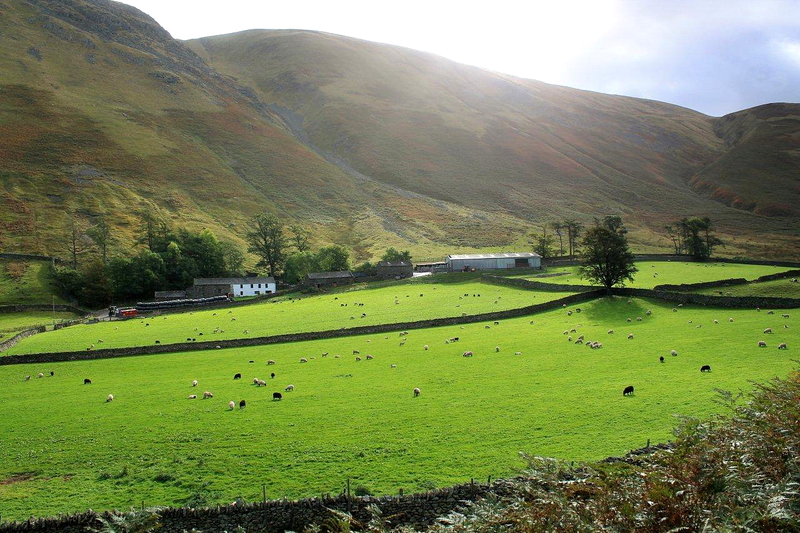 Howtown sits snugly in the mouth of Fusedale, and it’s Fusedale I have come to visit, because I had no idea it existed before I walked through this area last year on a high-level trek from Glenridding to Pooley Bridge. I disembark on the jetty along with two-dozen or so walkers. Everyone goes their separate ways and I find, to my great satisfaction, that I’m the only person heading into Fusedale. 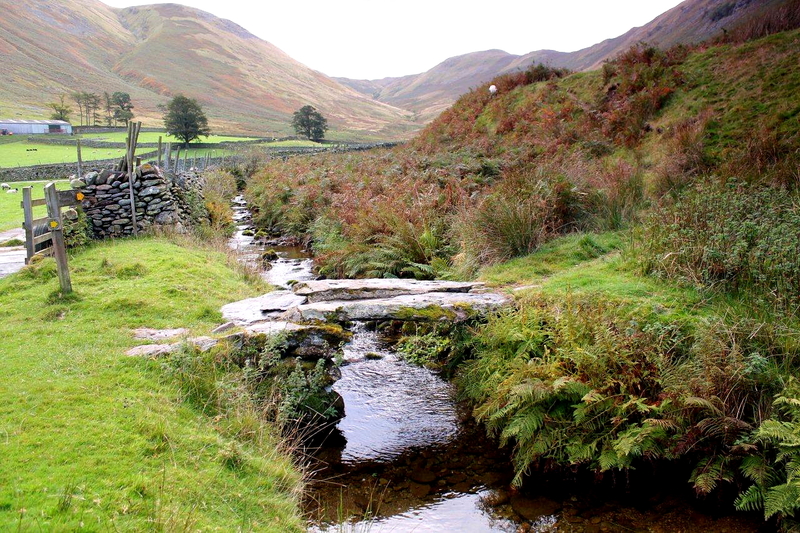 And through Fusedale, with its delightful scenery, I progress. It is, as I had hoped, Lakeland at its best – peaceful, charming, and possessing that other-worldly air that still exists in the quieter valleys. 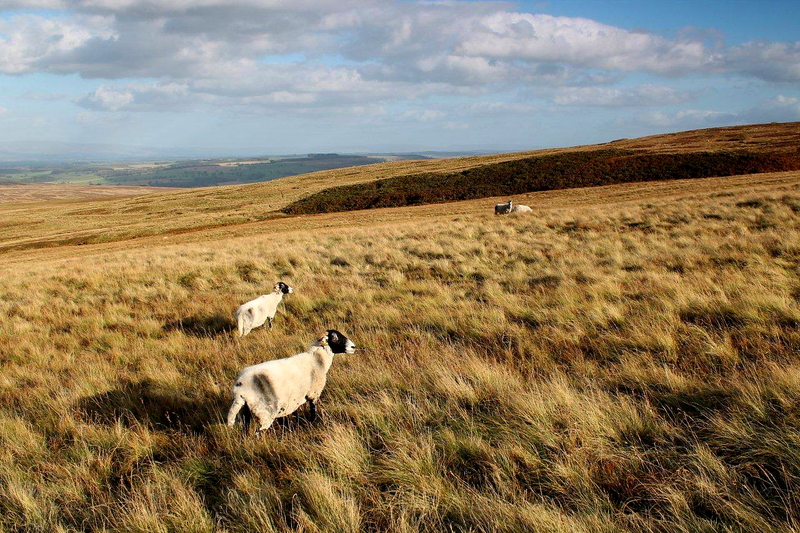 It’s the Lakeland of old guidebooks – a place of bleating sheep, rippling streams, warm morning sunshine, and the scent of damp moss and bracken. If I had the time to spare I’d sit on a stone and watch the clouds sail by while the sun arced from one side of the valley to the other. That sounds like a lazy day, but it would be time well spent. 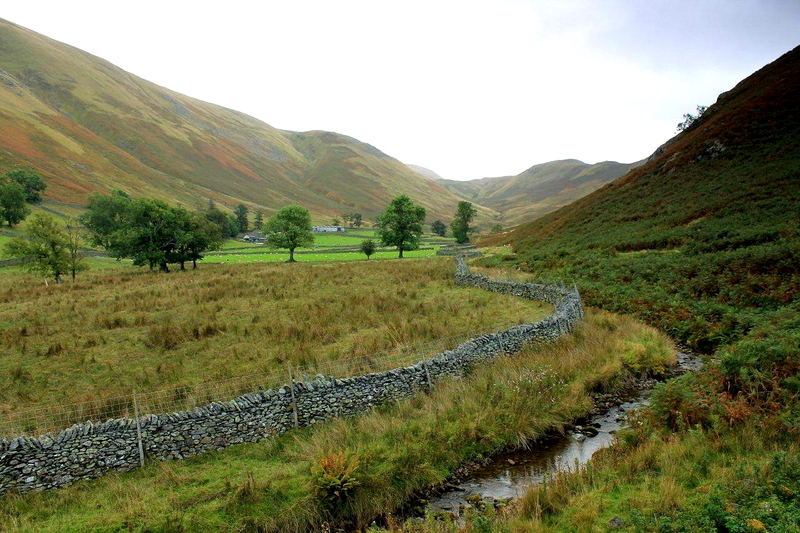 But Fusedale is also short and I am soon at the valley head and onto the shoulder of Gowk Hill (that’s Cuckoo Hill in plain English) and the upper slopes of Wether Hill (Castrated Ram Hill). 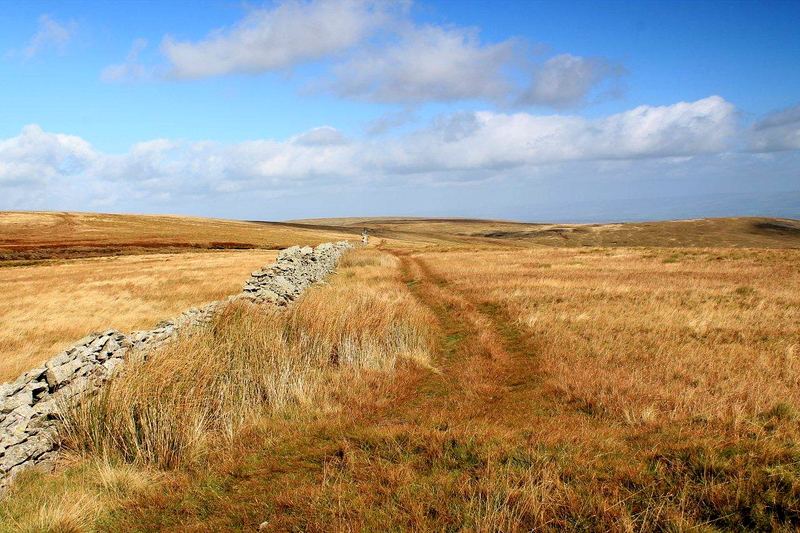 This is where I join the Roman road. From here it’s a straight though undulating march to Red Crag, Raven Howe, High Raise and Rampsgill Head before the final pull to the summit of High Street at 2,716ft (828m). There’s a cold wind blowing on the summit today. It feels like late autumn. Suddenly the summer has gone and colder months are approaching. What the hell. No point dwelling on that sort of stuff. It’s fine walking weather and that’s what matters. 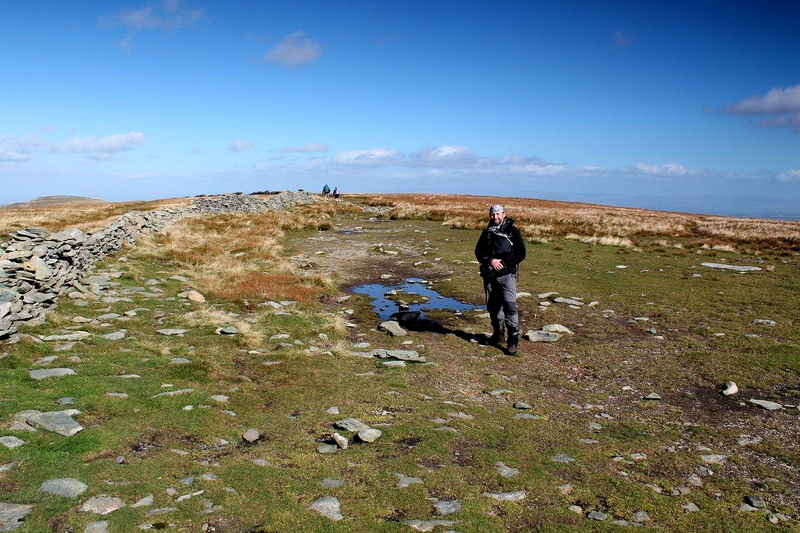 I turn about and head back along the ridge, retracing my steps to Wether Hill, but instead of following the path down into Fusedale I continue along the high ground to Loadpot Hill – passing the ruins of Lowther House shooting lodge – and the final rocky summit, Arthur’s Pike. 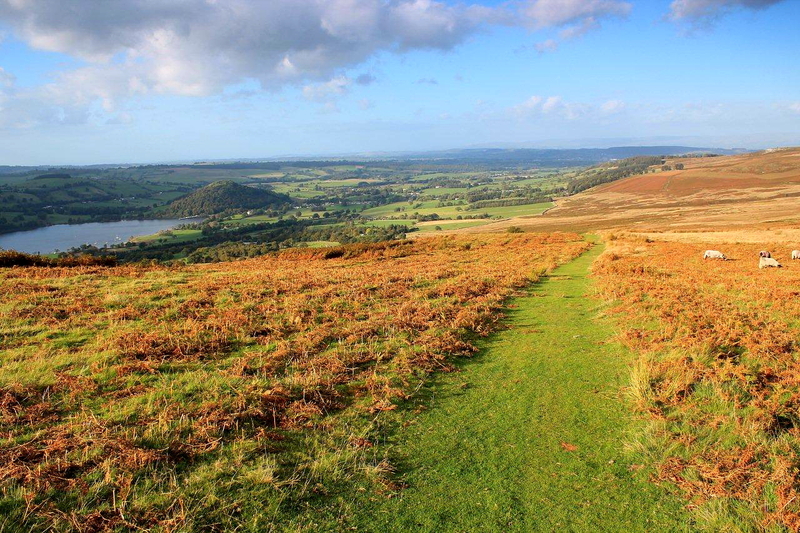 By the time I reach my van at Roehead, where the Roman road passes close to Pooley Bridge (and its British fortress on Dunmallard Hill), I’ve marched more than 16 miles (26km) and my legs are beginning to hurt. It’s the longest walk I’ve undertaken for a while. Must be out of condition. 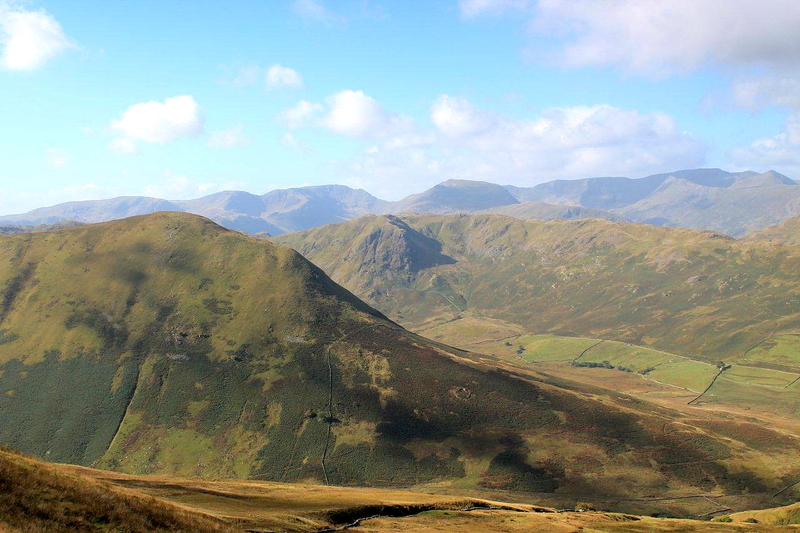 But, as always on these quieter Lakeland walks, it was worth every step. 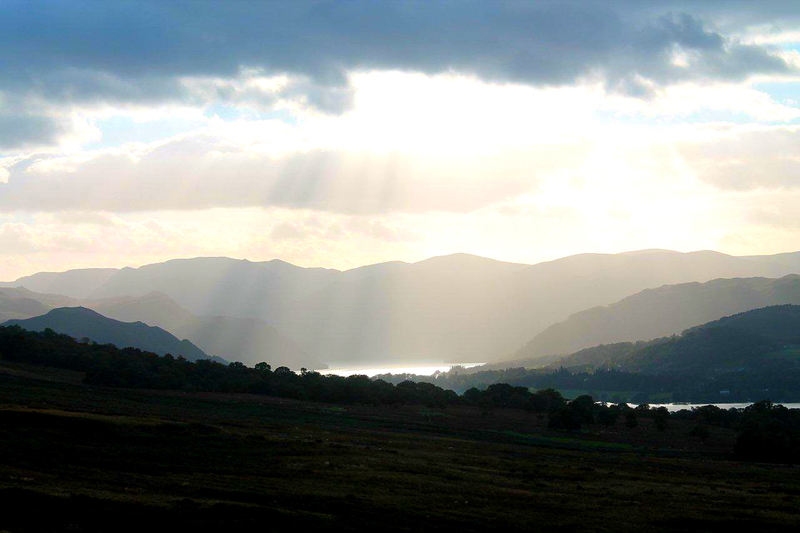 And now I’m sitting in the van supping tea and writing these words as sunbeams strike down through clouds onto the distant surface of Ullswater. It’s a picture of peace. Two-thousand years ago I would be sitting in a war zone – an indigenous Briton waiting for the shock and awe of imperial Rome to drop from the sky and crush me flat, for no other reason than it was in Rome’s “national interest” to do so. 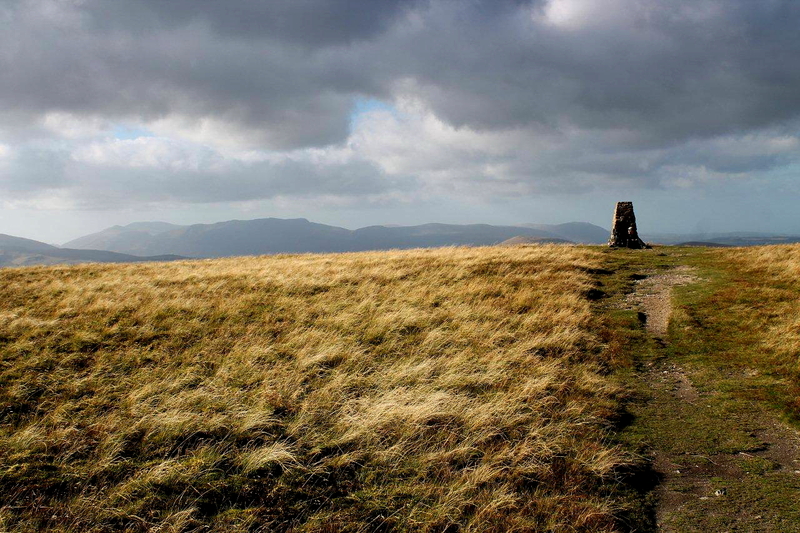 So that’s High Street – a mountain with a past as long as a Roman mile. There are no imperial Romans in Britain these days because the insurgents – the Angles, Saxons, Picts and Scotii – put more boots on the ground and eventually drove them out. Which just goes to show that if you don’t want trouble, you shouldn’t go marching into someone else’s country in the first place with your superior weaponry and spurious ideals. 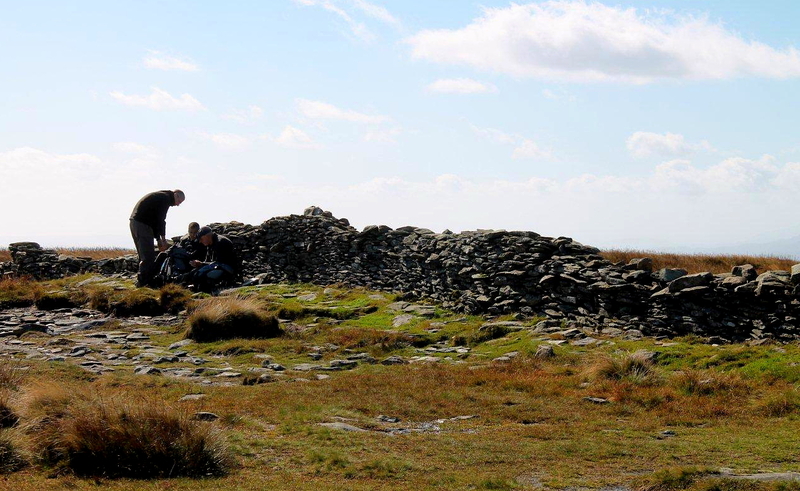 This entry was posted in Archaeology, Climbing, Environment, Footpaths, Hiking, History, Iron Age, Mountains, Ruins, The Romans, Vikings, Walking, Weather and tagged Cumbria, Lake District, outdoors, The Lakes, transportation, WPLongform. Bookmark the permalink. Another superb post! And amazing photos too. 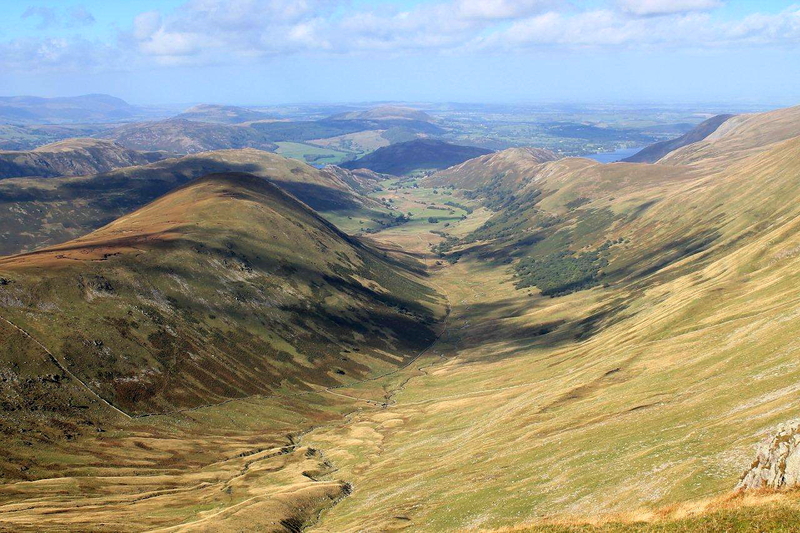 I have only been up High Street once – I did it from Haweswater and it was in torrential rain…rain only the Lake District knows how to throw at you. My walking buddy kept saying it would stop soon – and it did, when we nearly got back to the car!. But funnily enough I really enjoyed it – despite getting a full drenching. I am doing it again in a months time though (weather permitting this time). Hi James. Thanks for that. The atmospheric conditions were perfect for photography and I’m pleased with the way the pictures turned out. Much clearer than my usual offerings. I’m a bit hit and miss on that score – unlike you professional types. The Haweswater route up High Street is probably the most dramatic so it’s a shame about the rain. But your mate was right – it does stop. Eventually! Fantastic photos and a great story. I liked the historical mentions with the modern analogies. Hi Al. I finished writing that last night then watched The Eagle, Kevin Macdonald’s film based on the Rosemary Sutcliffe book The Eagle of the Ninth, about the Roman legion that disappeared in Caledonia. The same historical events, with their same motives, outcomes and lessons, go round in circles. That’s my view anyway. Firstly, to echo Alastair, I do love your posts (and these are the majority) which intermingle two great joys; life outside and a relationship with our past. Secondly, I just had to comment upon your mention of The Eagle of the Ninth, a simply wonderful, delicate gem of a book which seized my imagination powerfully as a youngster and no doubt contributed, silently and massively, to a love of history. That love saw me in York for my degree in the topic, and York indirectly led to living in your fine town there…whereupon I saw said film one grim evening, almost alone in that spectacularly dilapidated time-warp of an Odeon on Northgate. The film was a bit of disappointment and a missed opportunity, but the book is regularly re-read. I can’t stand in Galava, watching the mist come off the lake, without thinking of Marcus and Esca. Thanks for sparking a good memory. Hi Mark. Thanks for that. Films based on books never live up to expectations if you’ve read the book first. You’re watching someone else’s interpretation so it’s tainted from the start. I read somewhere that the Odeon in Northgate dates from the Roman period, but it’s still going strong apparently. My introduction to the Eagle of the Ninth was through the 1977 BBC TV series, which I found compelling. Then I recorded the film a few months back and I thought it was okay, but you do expect Jamie Bell to break into a pirouette during the fight scenes. He’s a nice lad but I’m not sure he was the right choice for the part of Esca. I must purchase the book because I’ve been meaning to read it for years. I’ve a birthday coming up so I should drop some hints. 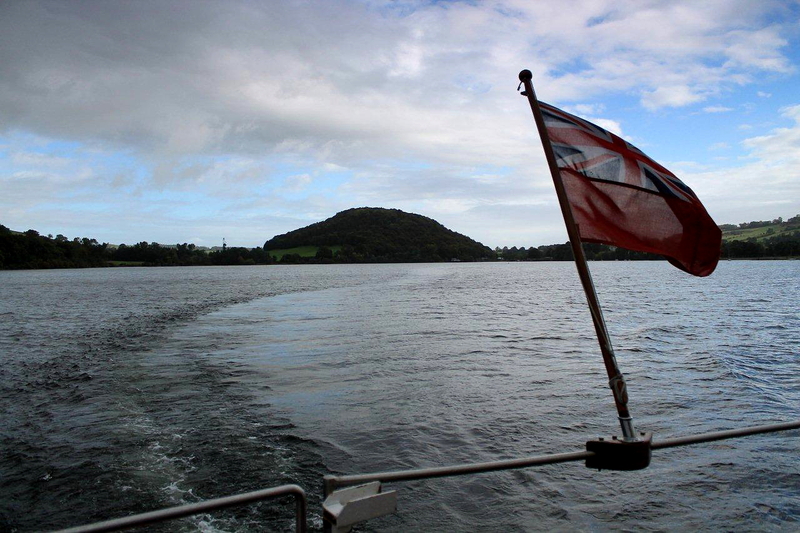 I like the Ullswater ‘steamers.’ I do the full round-the-lake sail every year as an annual ritual. The name High Street is a bit disconcerting. It’s like calling a mountain ‘Slip Road,’ or ‘Cul de Sac.’ Racecourse HIll, on the other hand, does conjure up images of the gatherings and horse racing that went on up there. I don’t think I’ve been up Fusedale. I might have stood at one end of it a few years ago, but headed off in a different direction. 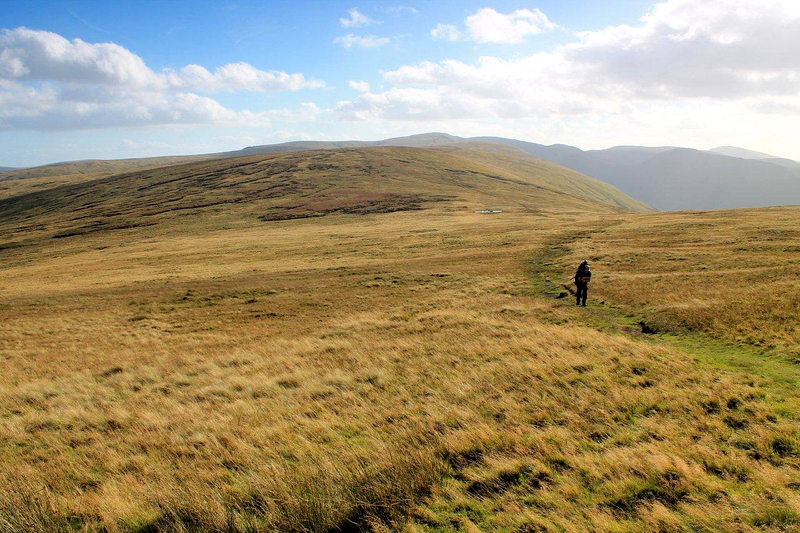 But the whole area is an isolated charm, still empty despite the popularity of the tarns and tops. Must get myself a van! The steamers are good value for money, I reckon, Chris. It cost just over a fiver for the trip to Howtown, and the coffee was cheap and really good stuff. 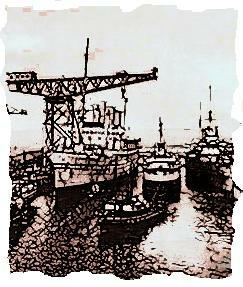 I’ve been looking at the website and some of the boats were actually built as steamers but converted to diesel in the 1930s an 40s. My wife’s been complaining that she’s never had a ride on one, so I guess we’ll be having a crack at the round-the-lake excursion sometime. I find mountain names fascinating. “High Street” probably looks and sounds quite romantic to someone who is not familiar with the English language, in the same manner all those Gaelic mountain names in Scotland look romantic to us – because they translate into mundane names such as Big Hill, Little Hill, Far Hill, Near Hill, Rocky Hill, Grassy Hill. Cul de Sac Crag. I like that. That’s a good route to High Street not done that one before. One or two of your photos are uncannily like the photos I took of my last backpack to the Lakes in August, particularly the one of Hayeswater. I think we must stood on the same spot 🙂 I had camped near High Raise the night before after coming up from Askham. Hi Mark. 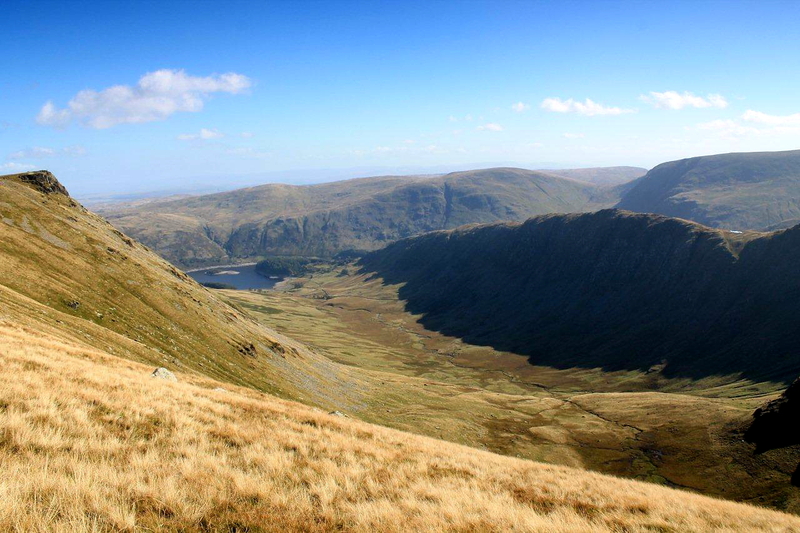 The High Street ridge is a great route for backpacking and I’ve been along there a couple of times myself, once dropping into Riggindale to camp and once at Blea Water. I’ve a feeling I’ve camped at Small Water as well, but I can’t be sure. My memory plays tricks on me sometimes. I don’t know if that’s down to age or alcohol. Or a mixture. I would say magic is the perfect word to use, Mrs P.
A truly wonderful day spent in Lakeland thank you for sharing. I really liked the look of your route with your commitment from Roehead, leaving you head strong to complete your journey, I really like the look & feel to that. 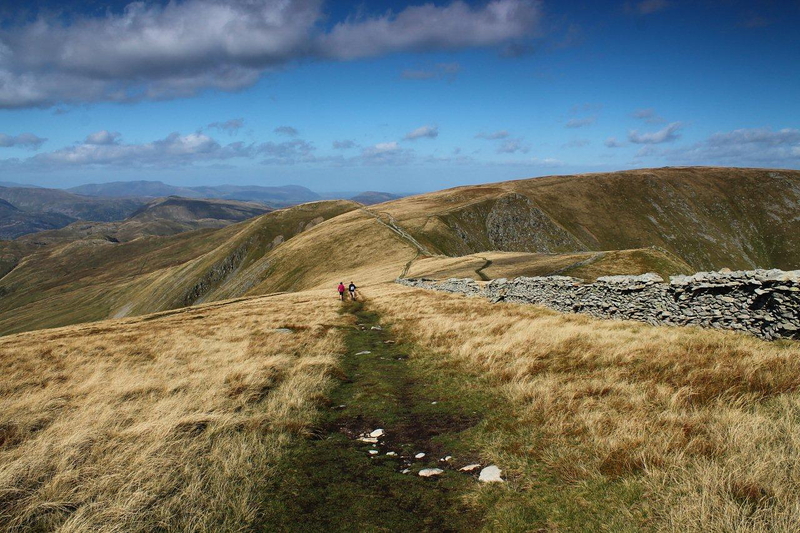 I’ve walked the High Street Roman road & would really recommend it a couple of years ago, we had a day similar to yours that started in low cloud & drizzle only for it to end in bright sunshine once we reached Galava Roman Fort (Ambleside) with very sore feet I recall! One of these days I’m going to have to catch one of the Steamers & maybe include it into a walk. Hi Paul. 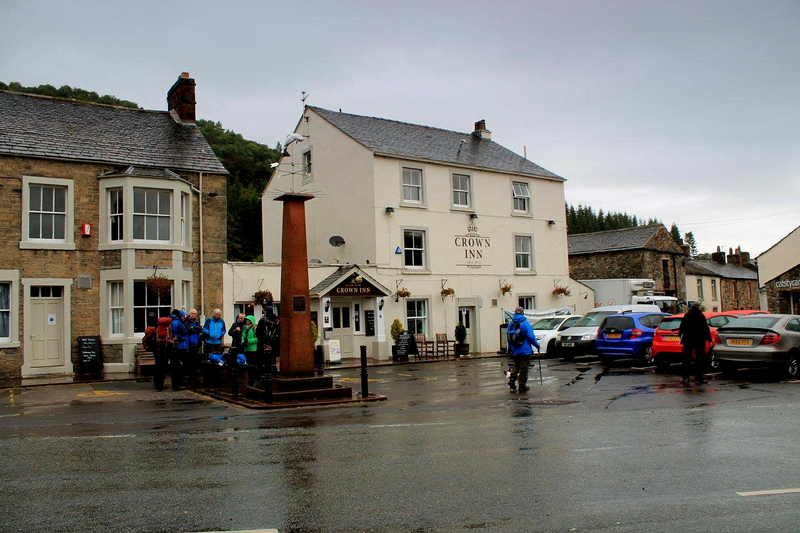 I was thinking about your epic trek when I was up there on High Street, especially during the last couple of miles when my knees were creaking and I was glad I hadn’t undertaken the full walk. It’s a long way from Brocavum to Galava so you deserved a pint or two when you got to the end. The daunting thing is that the Romans would walk it as part of everyday life, carrying their armour and packs with them. No moaning in the ranks or time out to take photographs. 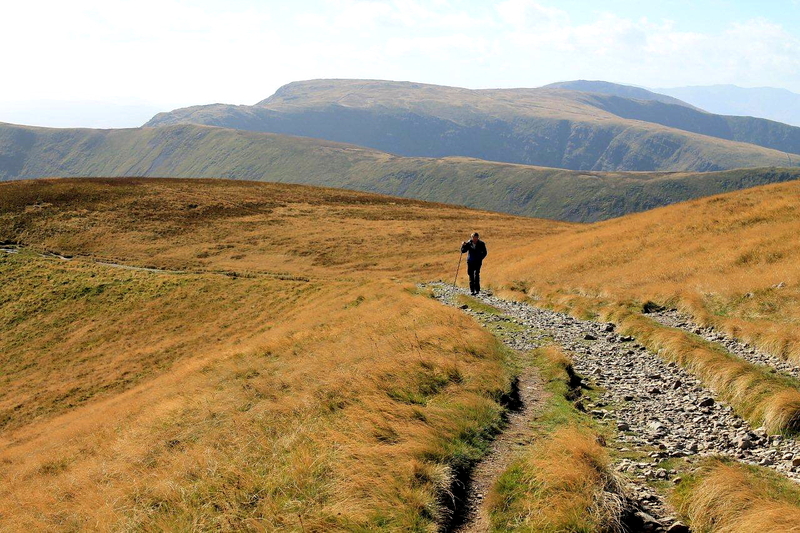 The steamers are a great way of doing linear walks in the Lakes instead of the usual circular routes. I’ve used them twice in the past couple of years and really enjoyed the experience. And they sell beer, so if you plan ahead – and this is something I haven’t done yet – you can end the day with a pleasant evening cruise and a nice cool pint. I enjoyed the description of you walk very much and you, not so hidden sentiments about boots on ground etc.! Hi Charles. Thanks for that. When I walk in the mountains it gives me time to churn over my stance on world affairs. I could have opted to write a furious and probably imbalanced account of how British and US governments have managed to create mayhem in the Middle East and isolate and radicalise sections of their own societies. But nobody would have read it. So I opted to snipe cynically from the sidelines and have a laugh at the same time. If I didn’t laugh I think I’d go mad. A great reminder of a couple of glorious days. I never ventured into Fusedale, instead I opted for the inner ridge, and the spiny top of Steel Knotts before pulling round the head of the valley onto the northern High Street range to pick off all those distant tops: a day of sunshine and peacefulness and only one other about: a female fellrunner putting me to shame with her vigour and speed! 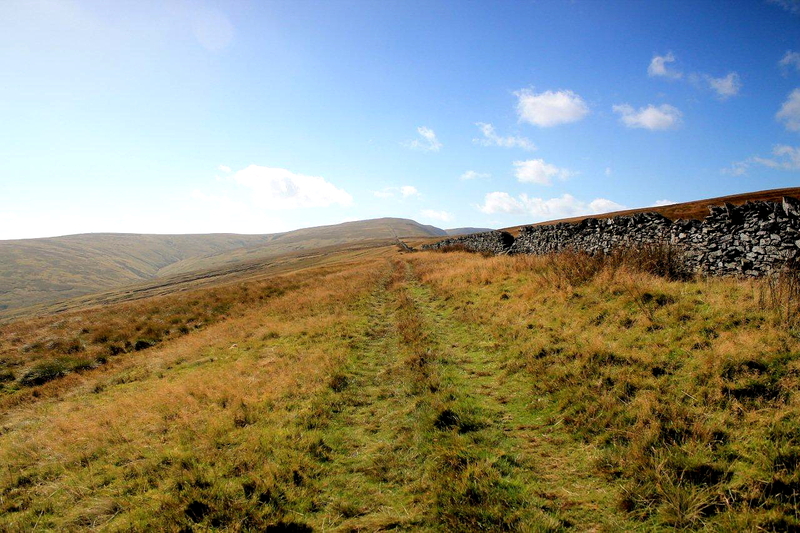 And High Street, of course, once as part of my self-devised Hayeswater Round, netting me nine tops in a day, more on a single expedition than I ever did before or since. 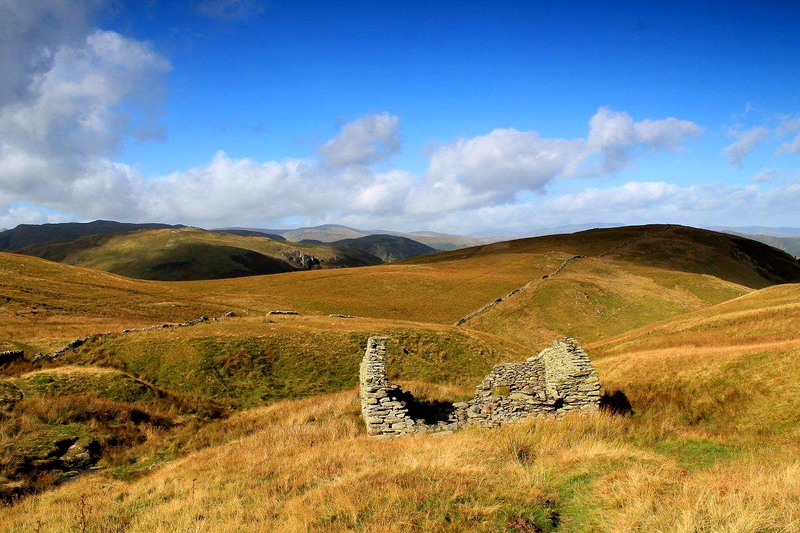 But even better by Long Stile and Rough Crag out of Mardale, which really is one of those glorious days that remain permenently fresh: I can go to it now in my mind, whenever I want. Hi Martin. You’ve had some memorable days up there, I see. It’s a great corner of the Lakes and quieter than some, though you were very lucky to see no one else except a solitary fellrunner. I reckon I’ve been on the summit of High Street six or seven times over the years, and it’s always been busy up there. This recent trip was probably the quietest I’ve seen it, with perhaps seven or eight people on the summit in the half-hour I spent there sheltering behind the wall out of the wind. 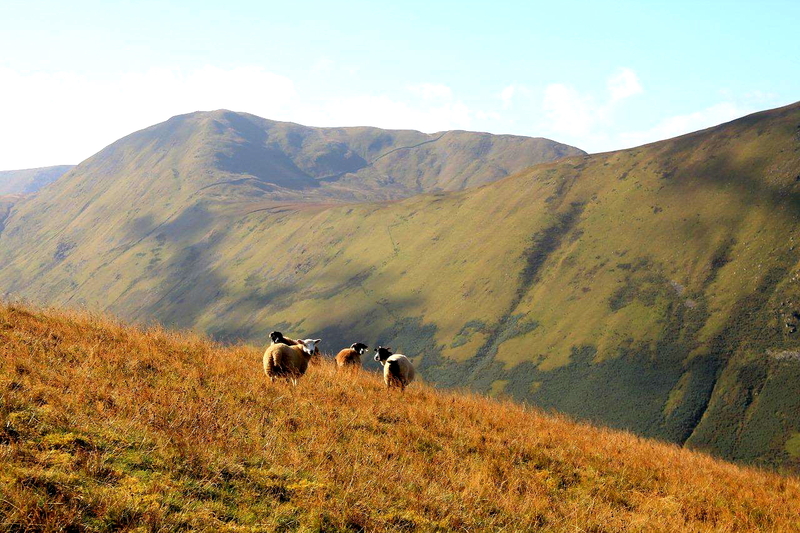 Mardale is a place on its own. I would have loved to have visited it before the valley was flooded. But that was not to be. 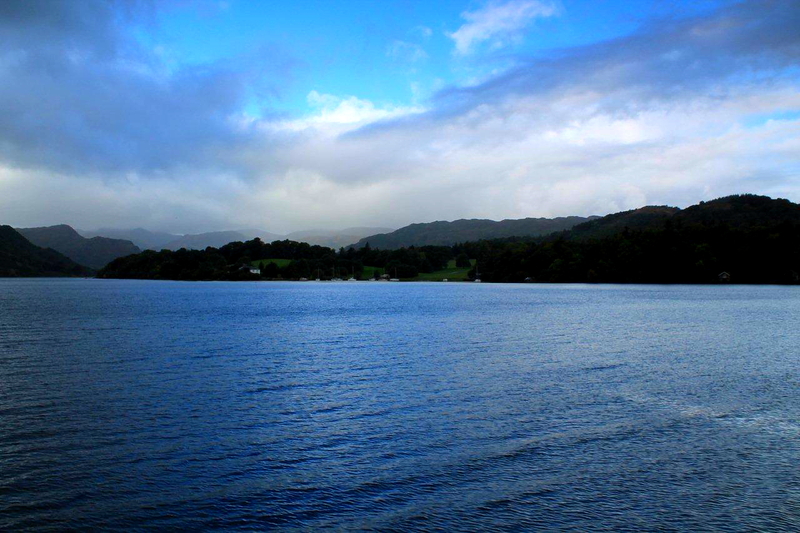 The great thing about the Lakes is that even the dull days are memorable. 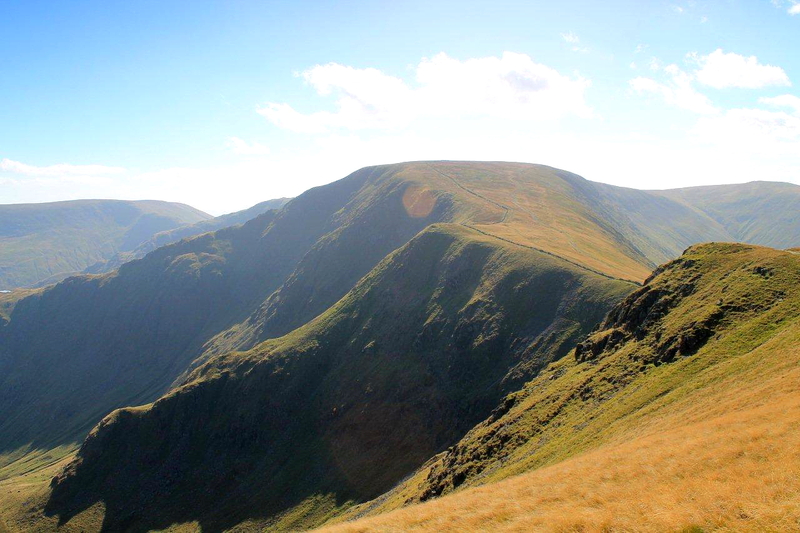 Sad to say, I’ve not had that degree of solitude on High Street itself, my Fusedale circuit took me no further south than Wether Hill. Love the photos, of course! Are you talking about Rosemary Sutcliff’s book? I read that to my kids when we were homeschooling. I should dig it out again. The movie never did make it to our area. Yes, Jeanne. The Eagle of the Ninth, by Rosemary Sutcliff – a fascinating tale based on historical evidence and legends. I’ve just been delving into the facts and the legion did actually disappear from Roman records in the early 2nd Century, but no one can say why or where. The weight of evidence points to an uprising in northern Britain. I must buy the book. I appear to be the only person around here who hasn’t read it! Great post again! 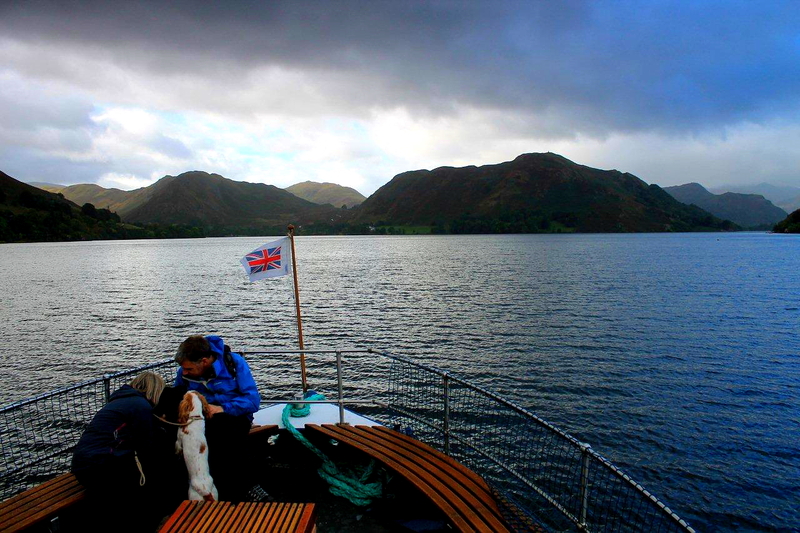 Didn’t they offer having your photo taken whilst cruising Ullswater? Always a good way to cheer the traveller & extract more dosh! Hi Ash. No one approached me about a picture. 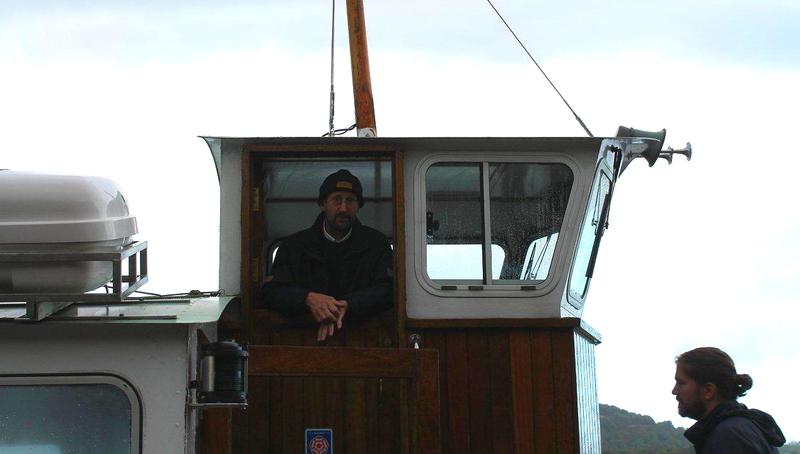 Perhaps I was looking too glum because of the weather. Soon cheered up though! Sometimes long walks only leave me with fatigue and gremlins. However, it is never a problem falling asleep after such a day. Other times the surroundings awakes wonder, excitement and joy. The last description arouses uncontrolled associations when I see your pictures. They are excellent. If I had been there with a tent I would have to stay overnight 3 times. To rest, to be still and absorb the whole atmosphere around me. First time in Fuse Dale. It looks like The Shire. Just needs some Hobbit holes. Thanks for a great post, Alen. Hej Hanna. I had no trouble sleeping after that walk. In fact I had a kip in the van before I drove home, and then fell asleep in a chair – but that might have been helped by half a bottle of wine and some beer. 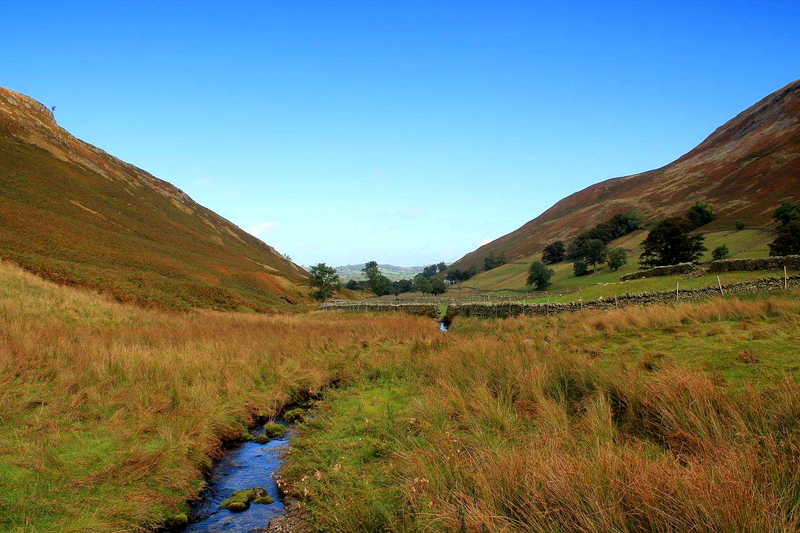 Fusedale is a splendid place, very peaceful and rural like the Shire. There’s only one farm in the valley and no other habitation, so it’s the perfect place to get away from the stresses of modern living. And as for the ghosts – it would be interesting to camp there for a night. I’ve camped in some spooky places over the years, Hanna, and it always seems like a good idea until you get there are it gets dark. You’ve thrown me with that one, carol. Pikeawassa. It sounds like a strong German drink. I’m going to have to look into that because it’s worth including on a walk for the name alone. Scottish Heid-bangers, eh? 🙂 Another nice post cousin and a wee bit of a dig at the foreign adventures of Cam and Co. Excellent! I was working on the theory that if one race was going to be insulted or apportioned blame, it would be best if they all were. True internationalism that! 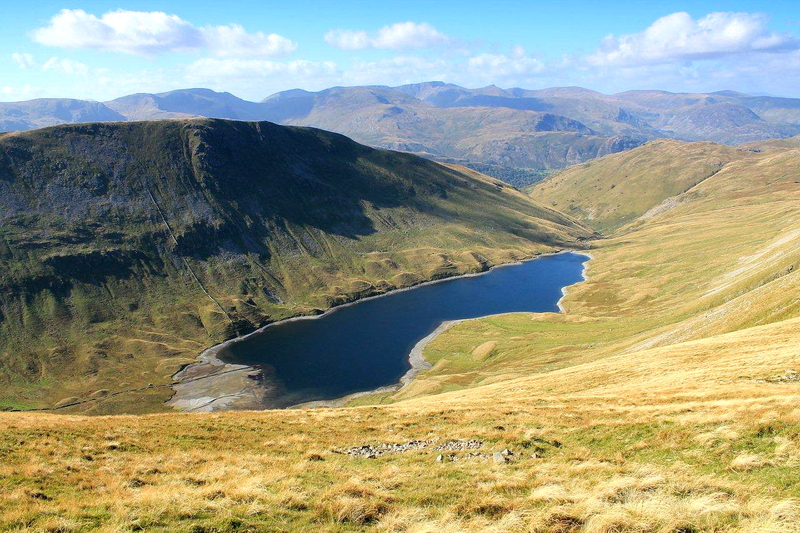 I think they also called it ‘racecourse hill’, where the people of Mardale would take their summer fayre onto the summit and race horses. A lovely valley head and a very special place for me. As always, enjoy the narrative and pictures. Hi Keith. I didn’t know that. An interesting snippet of history that has jogged something deep in my memory. Didn’t Fairfield take its name from the same sort of event? I shall look into it.